Mike Urquhart (Ph.D.) has over 20 years’ experience within the Pharmaceutical industry, working mainly in process development as a synthetic organic chemist. 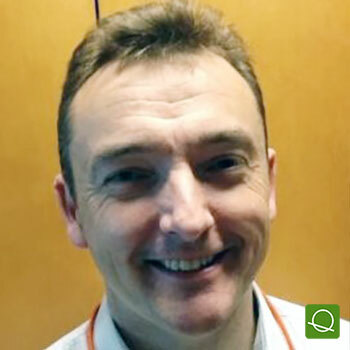 Since starting at GSK, Mike has had positions of increasing responsibility ranging from lab chemist and team manager through to Chemistry Manufacturing and Control (CMC) project manager. During his GSK career, Mike has led the primary development / delivery of 10 products, spanning early through to late phase development. Mike’s current roles are GSK CMC Due Diligence lead for small molecules and co-chair of the Genotoxic Risk Assessment (GRA) review team, where he is GSK subject matter expert. Mike also represents GSK on the Lhasa Mirabilis Pharmaceutical Consortium. CASE STUDY: Retrospective assessment of the process for mutagenic impurities is also discussed using “free data” to verify purging.